Thinking about becoming a stockist? There are lots of great reasons for both of us to do business. 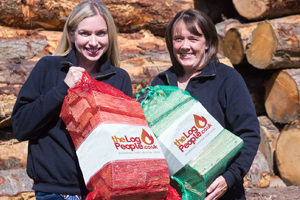 So here’s what we can do for you:The Log People are wholesale log suppliers of fully seasoned ready to burn netted logs to resellers and retailers all over the UK - giving them fully seasoned ready to burn firewood logs at the lowest possible prices. Our attractive price breaks mean the more logs you buy the better the deal we can offer – giving you the best possible return on investment. 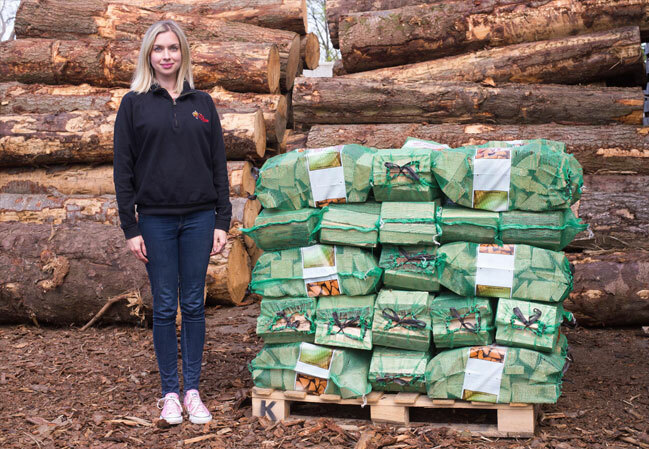 Our firewood logs are cut in our Shropshire-based sawmill from British-grown timber sourced from local FSC-managed forestries. We pass cost-savings to our customers – so you can maximise profit margins. We pack out our nets to the brim – giving you and your customers the best possible value for money. Logs are cut between 8-10 inches in length. We’re completely flexible about the way we do things. After all, every retailer has different needs. Our wholesale log orders start at 1 pallet of 50 nets and go right up to 40 pallets of 2000 nets. The more you buy the more we can discount the unit price – so it makes sense to stock up on as many nets as you’re able to. Each pallet holds 50 nets of logs measuring 45x60cm. You can either collect your order or we can arrange delivery of your order to anywhere in the country. Delivery charges will apply. To discuss possibilities and prices give us a call on 01691 887977 or use our contact form below. Fill out the enquiry form below and we’ll be in touch as soon as we can. - Tick the box to receive our special offers, stock updates and anything else that's relevant to wood burning. You can opt out anytime by emailing info@thelogpeople.co.uk or by telephone on 01691 887977.